It’s a great time to buy a Philips Sonicare toothbrush as there are ton’s of ways to save this month. I’ve spent some time this morning gathering up this list so hopefully it helps you save some money. First up Amazon has 24 new coupons listed for April !! That’s just crazy never seen this many listed. I’m not going to list them all because it’s just to many, instead head over to Amazon Sonicare Coupons to view all of them. Posted a picture below of all the coupons. 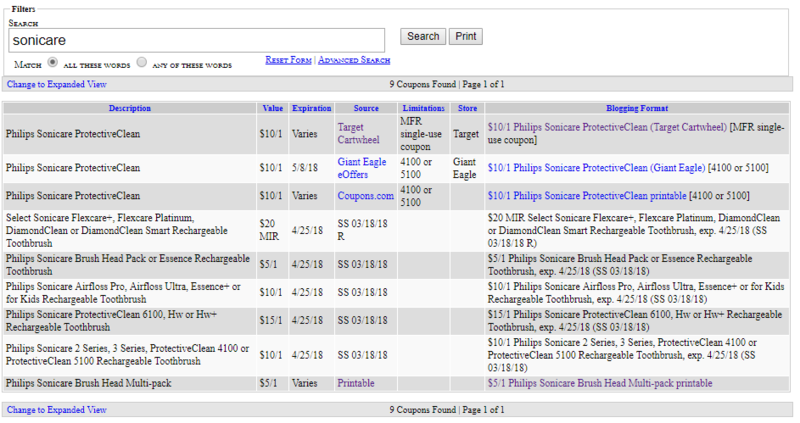 Next up a quick search using the Bargain Bin Betty’s Coupon Database found several more deals from Giant Eagle, Target Cartwheel and the Smart Source flyer. Check out the table below which I took directly from the Database. That’s everything I’ve found so far for April . If you’re looking for a rebate you can view all these Sonicare Rebates I’ve posted in the past. If you guys find another coupon I’ve missed please share it with us in the comments ! This entry was posted in Philips Sonicare Coupons and tagged 2018, april, coupon, Sonicare. 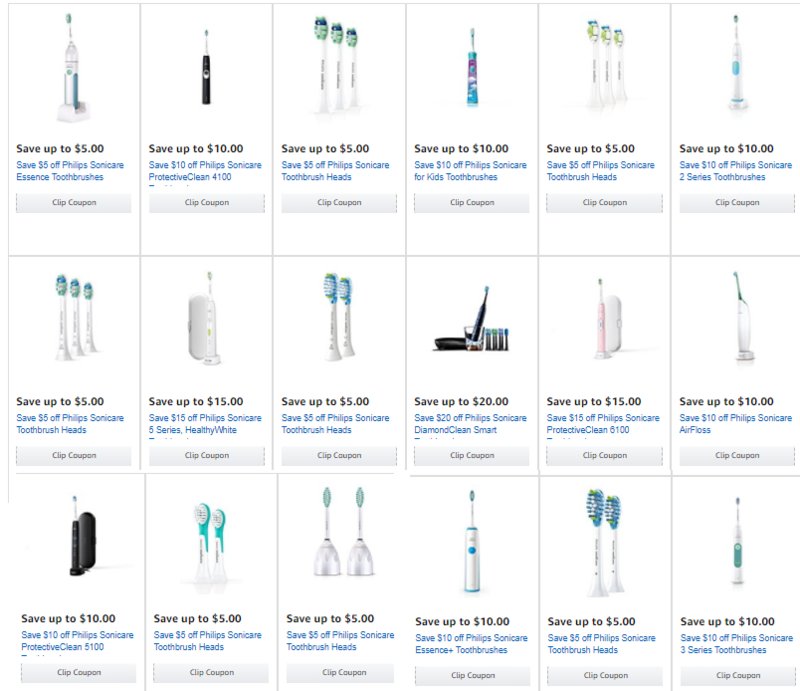 ← Save 15% off When Ordering A Sonicare Toothbrush Online This Month!